Sugar and Bruno loves working with So You Think You Can Dance alumni. 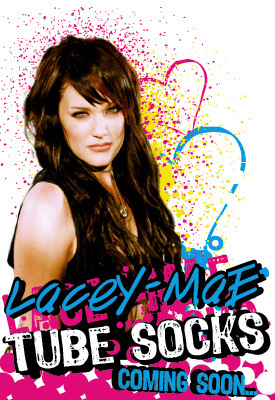 After Kameron Bink last Fall, Lacey Schwimmer has been mandated to create her own line of clothe, starting this may with the release of her series of tube socks. The collection has been announced to be the result of the creative collaboration between Lacey-Mae and Sugar and Bruno. Simply called “Lacey–Mae by Sugar and Bruno,” the new line is schedule to hit on and off line stores this May. Lacey is at the same time the creative fairy, model and spokesperson of the new line. Just a few weeks before the new season of So You Think You Can Dance begins on Fox, the new dance wear brand definitely chose the right timing to announce this new partnership. 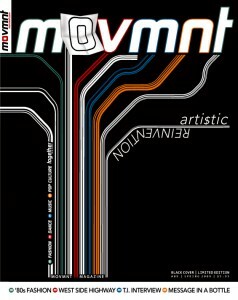 About her inspiration to create the line, the third runner up of last season’s SYTYCD reflected that she has “always been interest in arts. I painted a lot in my teens, made all my costumes, and loved shopping… so when Sugar and Bruno approached me, I said why not?! I’m known for wearing tube socks and Sugar and Bruno gave me the opportunity to design my own line. Wahoo!! Later on it will develop into a whole line. I cannot wait!